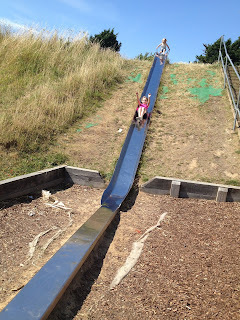 Whenever you ask the kids what they want to do, their first response is always, "go to the park", not just any park though the park with the silver slide!!! Both myself and Daddy Hazelden have fond memories of this park from our own child hood, so I think it is nice that we have been able to share this with the kids. As you can see from the picture to the left, this isn't a small slide. It takes the girls a while just to climb the stairs and reach the top. However, coming back down takes next to no time, especially if you don't hold on and bring your feet in the air. It has become a competition recently as to who can go down it the fastest and whether you can reach the end of the slide. Infact my kids have turned into daredevils, sliding on just their bums is boring, no they no go on their tummies, their backs, head first. Elise only yesterday came sliding down on her feet instead of her bum, my heart was in my mouth!!! What I love is that it is something that we can all join in with, Gracie has gained a lot of confidence on this slide because we first started bringing them, she would only go down on Daddy's lap and now she goes down all by herself just as fast as her sister's. I think the park is one of the original and best ways to spend a day together as a family, it is free and fun, what more could you want? Do any of you have fond memories of certain parks you went to as a child, have you taken your kids there?? 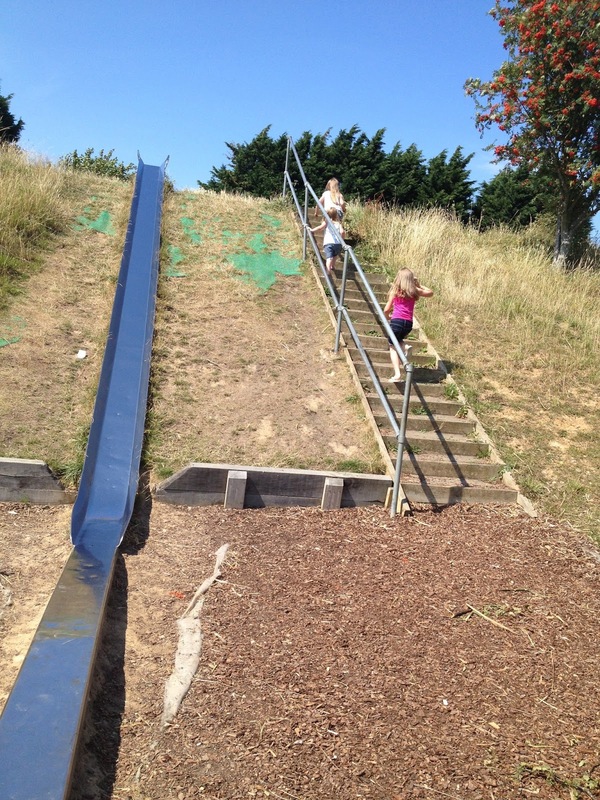 What a fab slide - they don't make them any more do they ? no everything seems to be so safety conscious these days!!! Wow! That is one impressive slide! its great that it is all at ground level so no falling off a great height. My daughters favourite pastime was sitting on the top of the wooden safety box that use to be at the top of a slide. Look at that slide! It's brilliant! My daughter will always ask to go to the park, too, though we've several that we like to go to, to keep things interesting! 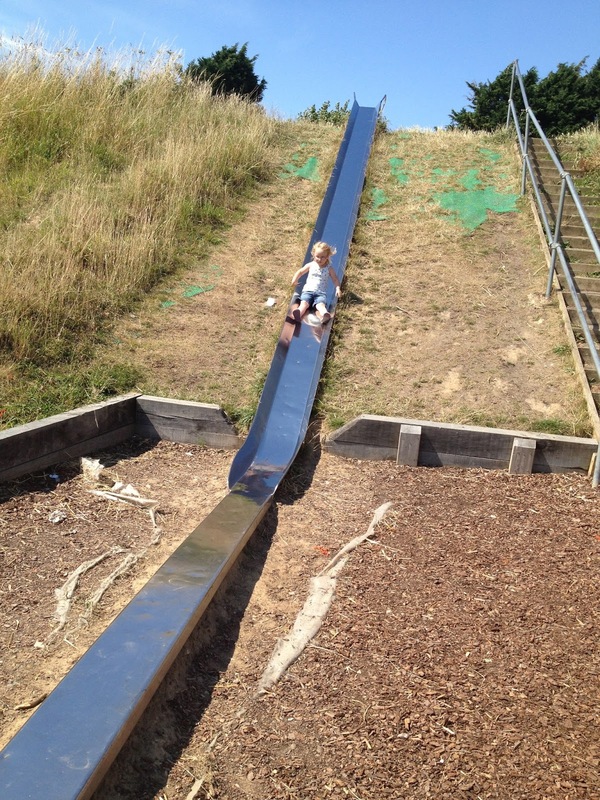 Though if there was one with a slide like that, I think we'd be there every day! 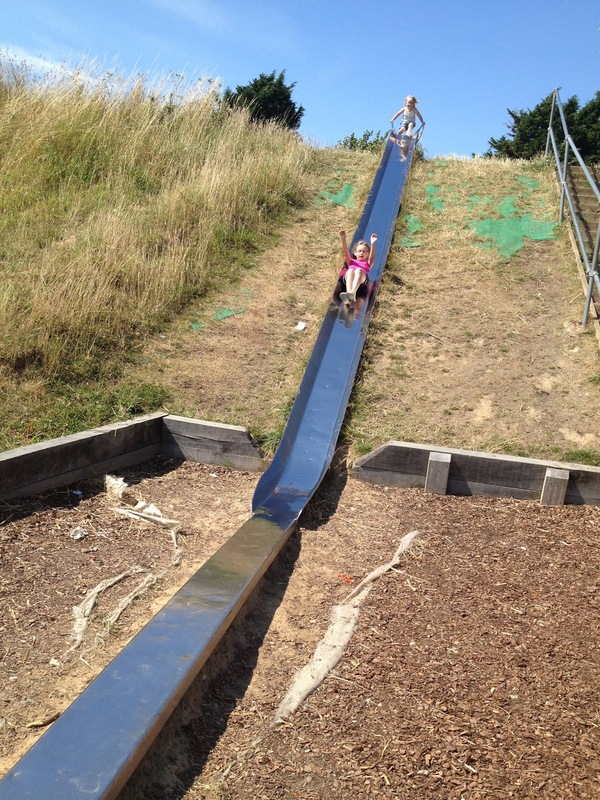 OMG what an utterly fantastic slide, there is nothing like some park time! 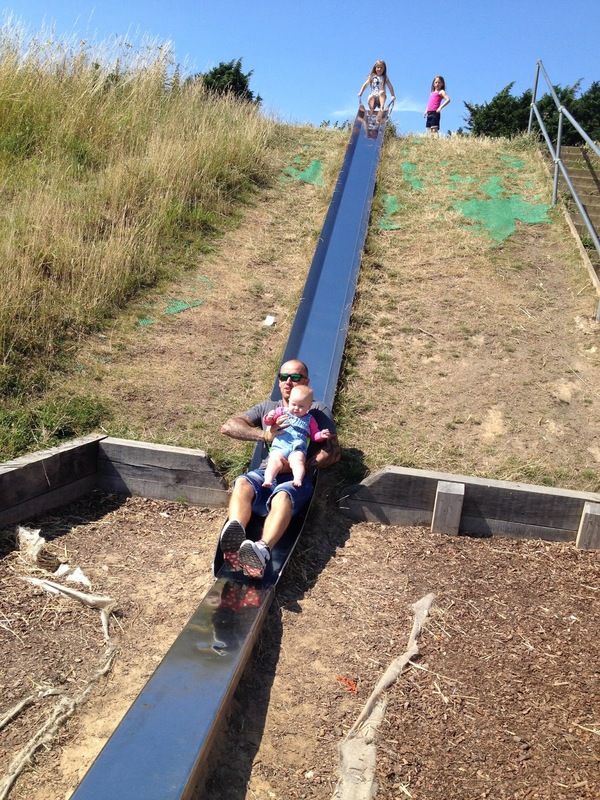 Now THAT'S what I call a slide! That is a wonderful slide! 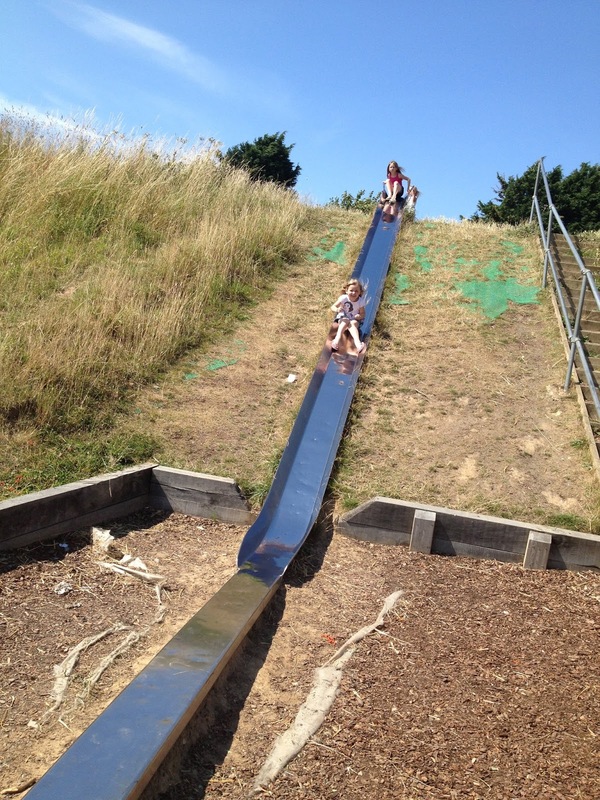 Parks are a fab and cheap day out and perfect in the sunny weather! You can pack a picnic and spend a few hours exploring and having fun on the equipment, I must say that is an impressive long slide no wonder the children enjoy it. Thanks for sharing your park adventures with Country Kids. We love parks! 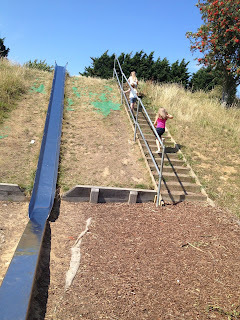 Our #CountryKids is our local park this week too, always lots of fun to be had! Love the look of the slide. Nice to see one like this again. They all seem to be tubes now. I wonder if that is part of the health and safety. everything is so health and safety conscious these days, sad really! !